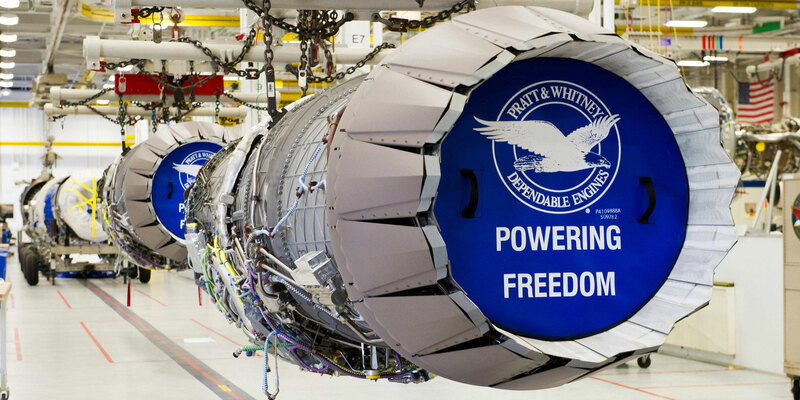 Pratt & Whitney has changed its proposed upgrade path for the F135 engine powering the F-35 Lightning II stealth fighter. It is now offering two stages of improvements over a four-year period, compared with the three-stage, 10-year plan ending with a completely new engine that it revealed a year ago. The stages are labeled Growth Option 1.0 and 2.0 and include greater thrust, lower fuel burn, and better thermal management. Matthew Bromberg, president of P&W Military Engines, told AIN that since last year, P&W has combined the informally labeled “Growth 1A” thrust-increase option for the F-35B STOVL version within the overall Growth Option 1.0 package. This package offers 10 percent more thrust than the F135’s current nominal 40,000 pounds and 5 percent better fuel burn. But for the F-35B, P&W is working with Rolls-Royce to also provide a 5 percent increase in vertical thrust during the hover. P&W previously described Growth Option 2.0 as an all-new production engine that would result from its adaptive-cycle research and development under the U.S. Air Force Research Laboratory Advanced Engine Transition Program (AETP). Both General Electric and P&W are working on engineering, manufacturing, and development (EMD) contracts from the Pentagon for the AETP, which could power a sixth-generation fighter aircraft. However, Bromberg said that Growth Option 2.0 for the F135 could now provide the F-35 with “a significant increase in power and thermal management capability” within four years, rather than being a completely new engine design, which might not be available until a decade hence. P&W is offering the new optional package as a result of the perceived need for an improved power and thermal management system (PTMS) to accompany the upgrades to the F-35 that Lockheed Martin is proposing. Lockheed Martin describes these as a continuous capability development and delivery (C2D2) strategy, but some are also known as the Block 4 upgrade. The upgrade program is scheduled to begin next year but is still under negotiation by the F-35 Joint Program Office. The Growth Option 2.0 upgrades will result from P&W’s adaptive-cycle R&D effort focusing on third-airstream capability, adaptive-cycle controls, and new materials, with the company planning to “take the technologies as they mature and insert them into existing engines,” said Bromberg. “It’s a whole suite of technologies; we will look at everything. We’re leveraging the bleed systems, the integration system, and the control system.” In addition to the adaptive-cycle fan’s third airstream, P&W is also “looking at adaptive elements in the controls, the components, and the core,” he said. Describing the Growth Option 2.0 upgrades as “a menu of options under the adaptive umbrella,” he confirmed P&W will tailor the package to each customer’s requirements for particular PTMS enhancements. Bromberg said the company will make all the optional Growth Option 2.0 upgrades available to international customers for the F-35, as well as to the aircraft’s U.S. operators.